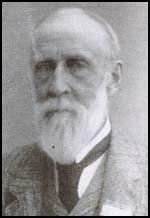 Linley Blathwayt was born in 1839. He joined the British Indian Army and served in India for many years. Blathwayt married Emily Marion and they had two children, Mary and William. After reaching the rank of colonel he retired and in 1882 he purchased Eagle House near Batheaston, a large house set in four acres of land. Blathwayt was a supporter of the Liberal Party. His wife, Emily Blathwayt, and his daughter, Mary Blathwayt, also held progressive political views and were both advocates of women's suffrage. According to B. M. Willmott Dobbie, the author of A Nest of Suffragettes in Somerset (1979), "Blathwayt was... a naturalist with wide interests, and some distinction in Entomology. Several of the notebooks in which he recorded his finds, mostly in and around Bath and Batheaston, written with punctilious neatness... He was a Fellow of the Linnean Society, and he laid out at Eagle House a garden in which he grew and propagated plants not commonly seen as well as more usual subjects." Blathwayt was also an accomplished photographer. 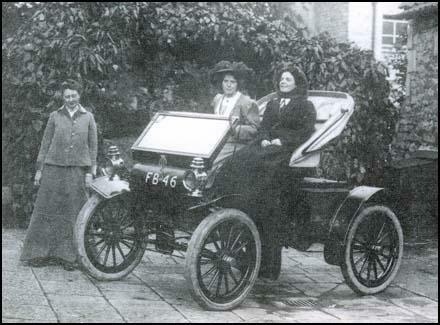 On 18th January 1904, Blathwayt became the first owner of a motor car in Batheaston. Local historian, B. M. Willmott Dobbie, has pointed out: "It cost £150. Many were his adventures in this beloved machine. There are still some living who recall with relish as participators the gangs of urchins who lay in wait for his return from his outing in the sure expectation that his engine would fail on an unavoidable hill, confident of six-pence apiece when by their united efforts he gained the summit." Mary Blathwayt with her father's car. 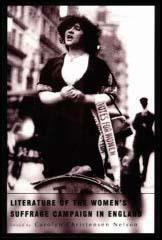 In July 1906 Mary Blathwayt sent a donation of 3 shillings to Women's Social and Political Union (WSPU). Colonel Blathwayt also supported the Women's Suffrage bill being discussed in the House of Commons. In March 1907 Emily Blathwayt wrote: "Women's Suffrage bill brought in by private member and government allowed it to be talked out. The Liberals do not keep their pledges. The Women's Union beg all to turn against Liberals and think only of the one Cause. Linley is much in favour of women having the vote, he thinks they would do much more good than harm." Colonel Linley Blathwayt was sympathetic to the WSPU cause and he built a summer-house in the grounds of the estate that was called the "Suffragette Rest". Members of the WSPU who endured hunger strikes went to stay at Eagle House and the summer-house. Mary Blathwayt recorded in her diary that Annie Kenney had intimate relationships with at least ten members of the WSPU at Batheaston. Blathwayt records in her diary that she slept with Annie in July 1908. Soon afterwards she illustrated jealousy with the comments that "Miss Browne is sleeping in Annie's room now." 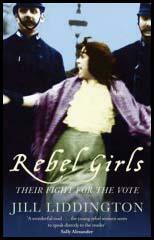 The diary suggests that Annie was sexually involved with both Christabel Pankhurst and Clara Codd. Blathwayt wrote on 7th September 1910 that "Miss Codd has come to stay, she is sleeping with Annie." Codd's autobiography, So Rich a Life (1951) confirms this account. The historian, Martin Pugh, points out that "Mary writes matter-of-fact lines such as, Annie slept with someone else again last night, or There was someone else in Annie's bed this morning. But it is all done with no moral opprobrium for the act itself. In the diary Kenney appears frequently and with different women. Almost day by day Mary says she is sleeping with someone else." Colonel Blathwayt decided to create a suffragette arboretum in a field adjacent to the house. The idea was for women to be invited to plant a tree to commemorate their prison sentences and hunger strikes. On 23rd April 1909 Emily Blathwayt recorded in her diary that Annie Kenney, Emmeline Pethick-Lawrence, Constance Lytton and Clara Codd all planted trees. "Beautiful day for the tree planting and Linley photographed the three in a group at each tree. Annie put the West one, Mrs. P. Lawrence, South, and Lady Constance the East. Miss Codd came to the field." Over the next few months Emmeline Pankhurst, Adela Pankhurst, Mary Phillips, Vera Holme, Jessie Kenney, Georgina Brackenbury, Marie Brackenbury, Aeta Lamb, Theresa Garnett, Lilian Dove-Wilcox, Adela Pankhurst, Marion Wallace-Dunlop, Vera Wentworth and Elsie Howey also took part in this ceremony. After the visit of Christabel Pankhurst Emily Blathwayt wrote in her diary: "Christabel has planted her cedar of Lebanon by the pond; it was raining all the time. There is a wonderful charm about Christabel; she looks sweet and not like her photo. She is quiet and retiring." Eventually, even women who had not been to prison, such as Millicent Fawcett and Lilias Ashworth Hallett planted trees. Jessie Kenney developed a "lung condition" also spent time recovering at Eagle House. Others who visited during this period included Constance Lytton, Elsie Howey, Mary Phillips, Charlotte Despard, Mary Allen, Charlotte Marsh, Lilias Ashworth Hallett, Aeta Lamb, Georgina Brackenbury, Marie Brackenbury, Marie Naylor, Laura Ainsworth, Lilian Dove-Wilcox, Theresa Garnett, Gladice Keevil, Maud Joachim, Vida Goldstein, Minnie Baldock, Vera Wentworth, Clare Mordan and Helen Watts. Colonel Blathwayt photographed the women. These were then signed and sold at WSPU bazaars. Emmeline Pethick-Lawrence wrote an article in Votes for Women in February 1909, they acknowledged the help given by the Blathwayt family to the cause of women's suffrage: "I say to you young women who have private means or whose parents are able and willing to support you while they give you freedom to choose your vocation. Come and give one year of your life to bringing the message of deliverance to thousands of your sisters... Put yourself through a short course of training under one of our chief officers or at headquarters in London, and then become one of our honorary staff organisers. Miss Annie Kenney, in the West of England, has two such honorary organisers. Miss Blathwayt is the only daughter of Colonel Lindley Blathwayt, of Bath. Yet her parents have set her free with their fullest approbation and sympathy, and with a generous allowance, to devote her whole time to the work." 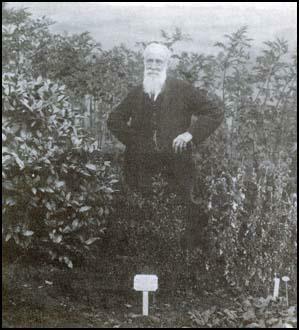 Linley Blathwayt with the tree planted for Annie Kenney. 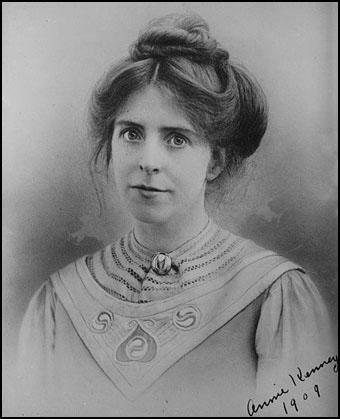 Annie Kenney wrote in her memoirs, Memories of a Militant (1924) about the help that the Blathwayt family gave her during the campaign: " It would be futile to mention other names, they were all wonderful to me. There is just one I should like to mention, that of the late Colonel Blathwayt. He and Mrs. Blathwayt, of Eagle House, Batheaston treated me as though I were one of their own family. All my week-ends I spent under their hospitable roof." On 5th September, 1909, Elsie Howey, Vera Wentworth and Jessie Kenney assaulted Herbert Asquith and Herbert Gladstone while they were playing golf. Emily Blathwayt was horrified by this increase in violence. On 7th September she wrote in her diary: "We hear of terrible things by the two Hooligans we know, Vera and Elsie and there is a Kenney in it. They made a regular raid on Mr. Asquith breaking a window and using personal violence. Then missiles have been thrown lately through windows during Cabinet Members meetings which might injure or kill innocent persons." The following day Emily Blathwayt sent a letter to the WSPU headquarters: "Dear Madam, with great reluctance I am writing to ask that my name may be taken off the list as a Member of the W.S.P.U. Society. When I signed the membership paper, I thoroughly approved of the methods then used. Since then there has been personal violence and stone throwing which might injure innocent people. When asked by acquaintances what I think of these things I am unable to say that I approve, and people of my village who have hitherto been full of admiration for the Suffragettes are now feeling very differently. Linley Blathwayt wrote to Christabel Pankhurst complaining about the behaviour of Elsie Howey and Vera Wentworth and suggested that they would no longer be welcome at Eagle House. He also wrote to Annie Kenney and appealed to her to do nothing violent. The Blathwayt family continued to invite non-violent members of the WSPU to stay at Eagle House. Emily Blathwayt wrote about how Mary Phillips was invited to plant a tree on 4th July 1910. However, she records that Phillips " is a militant but of a different nature and neither approves of stone throwing." In March 1911, Colonel Blathwayt was writing to Charlotte Marsh in Holloway Prison pleading with her "not to take part in violence". The summer of 1913 saw a further escalation of WSPU violence when they began an arson campaign. In July attempts were made by suffragettes to burn down the houses of two members of the government who opposed women having the vote. These attempts failed but soon afterwards, a house being built for David Lloyd George, the Chancellor of the Exchequer, was badly damaged by suffragettes. This was followed by cricket pavilions, racecourse stands and golf clubhouses being set on fire. In June 1913 a house had been burned down close to Eagle House. Under pressure from her parents, Mary Blathwayt resigned from the WSPU. In her diary she wrote: "I have written to Grace Tollemache (secretary for Bath) and to the secretary of the Women's Social and Political Union to say that I want to give up being a member of the W.S.P.U. and not giving any reason. Her mother, Emily Blathwayt, wrote in her diary: "I am glad to say Mary is writing to resign membership with the W.S.P.U. Now they have begun burning houses in the neighbourhood I feel more than ever ashamed to be connected with them." Emily and Mary remained active member of the NUWSS. Emily wrote in her diary on 7th February, 1918: "The Reform Bill passed yesterday... Women cannot vote before the age of 30. Wives of men entitled to elect can vote as well as women in their own right and university women also have the franchise... Linley and I walked through the trees this afternoon and wondered how quietly this had come at last, but the war occupies all our thoughts." Linley Blathwayt died in February 1919. Women's Suffrage bill brought in by private member and government allowed it to be talked out. The Liberals do not keep their pledges. The Women's Union beg all to turn against Liberals and think only of the one Cause. Linley is much in favour of women having the vote, he thinks they would do much more good than harm. It was in this year (1907) that I was made Bristol organiser. I had not been in Bristol long when I took on the whole of the West of England, also Devonshire and Cornwall. There is not a city and scarcely a town that I have not spoken in, from Bath to Land's End. The happiest days of organising were those I spent in the West of England. Bristol and Bath stand out most. The members in those two cities were wonderful workers; they worked night and day. I had not one voluntary worker, I had scores. I trained speaker after speaker. It would be futile to mention other names, they were all wonderful to me. There is just one I should like to mention, that of the late Colonel Blathwayt. He and Mrs. Blathwayt, of Eagle House, Batheaston treated me as though I were one of their own family. All my week-ends I spent under their hospitable roof. They also gave hospitality to the numerous speakers who came to the centre. The London papers have account of the row, and the Bath papers are horrified, especially the liberal Linley brought packets of photos and they think (with the signatures) they ought to fetch from £70 to £80. They cost Linley a little over £20 and have given him a lot of amusement. The idea of a field of trees grows, it is even suggested as a place set apart for future ashes. Long letter from Vera Wentworth who is very sorry we are grieved but if Mr. Asquith will not receive deputation they will pummel him again. She says the authorities knew nothing of the raid for which they alone are responsible. They are driven nearly mad by the unjust treatment all their dear women have received and she points out they did no serious harm to Asquith whereas Herbert Gladstone gave Jessie a nasty blow in the chest. She also says what the liberal stewards have done at the meetings to the women. She really believes she is acting quite rightly. The letter needs no reply. Linley (Blathwayt) and Annie Kenney brought Mrs. Pethick-Lawrence and Lady Constance from the station in a taxi-cab in time for lunch and they went to the meeting in the same way... Lady Constance showed how she was first prejudiced against militant methods till gradually step by step she found she must go to prison herself. I suppose future generations will give honour to these noble people. When the cause becomes the fashion, we shall have the stupid people in it. Linley had a nice letter from C. A. L. Marsh in Holloway awaiting her trial as they all refused bail. His birthday letter to her begging her not to take part in violence followed her there. Like the rest, they all think it their duty to take a large share of suffering.